Desi Allevato always knew she was looking for something, but wasn’t sure what. She found her husband Frank in grad school, and later, thankfully, found her way OUT of her PhD program. In 2012 she and Frank walked into the Easter Sunday service at Church of Our Savior just up the road from their house and she found God. Or God found her; she’s not sure which yet. While very pregnant wit their son John Paul, Desi was baptized in July that same year. The following year she and Frank were confirmed on her 36th birthday. Since then, Desi’s done her best to balance raising a family, sustaining a loving marriage, working full-time, and growing into a faith and love of Jesus that manages to change her life every single day. Desi works as a digital product manager in Charlottesville, VA. Oh, and just had major brain surgery in September 2018. 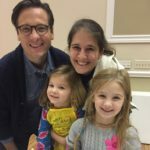 Meredith Baker and her family now attend church at Redeemer Episcopal Midlothian in Virginia and previously attended Christ Church Washington Parish. She has written about the history of the Episcopal Church of Virginia in The Richmond Theater Fire: the Early Republic’s First Great Disaster (LSU Press, 2012). 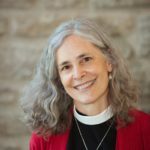 Wendy Claire Barrie has directed programs for children, youth, and families since 1989 in seven Episcopal congregations large and small on both coasts, presently at Trinity Church Wall Street. Wendy is also the mother of an especially curious thirteen-year-old, and the author of the new book Faith at Home: A Handbook for Cautiously Christian Parents. 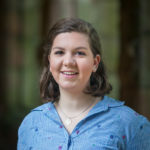 The daughter of an Episcopal priest, Margaret Blackerby grew up in Birmingham, Alabama and graduated from Sewanee: the University of the South in May 2018 with a Bachelor’s degree in English and women’s and gender studies. She has attended Camp McDowell Episcopal Camp and Conference Center in Nauvoo, Alabama since before she could walk or talk and now works for the McDowell Conference Center as a visit coordinator. She loves Irish dancing, speaking French, reading good books, drinking warm tea, and talking with friends on cozy porches. The Rev. 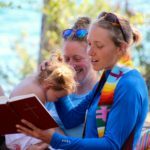 Wren Blessing serves on the staff of The Episcopal Diocese of Montana and as part of that role, directs Camp Marshall, an Episcopal summer camp on Flathead Lake. She lives with her young sons in Helena. The Rev. 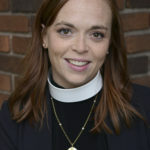 Meaghan Brower has been the director of the Episcopal Conference Center in Rhode Island since 2012. 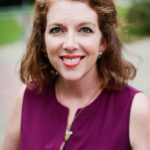 After graduating from Virginia Theological Seminary in 2007 Meaghan worked as the Associate Rector at Emmanuel Church in Southern Pines, NC. From there she and her husband Jonathan took some time off to travel and discern God’s will in their lives. They were delighted that discernment brought them back in their home state of Rhode Island where Meaghan works at camp and Jonathan works as a furniture maker. They have three children. Drew Bunting is an Episcopal priest currently serving as Interim Rector of St. Paul’s, Athens, TN near his home in Chattanooga. He has previously worked as chaplain of St. Andrew’s-Sewanee School and St. Stephen’s Episcopal Day School in Miami, as well as serving parishes in Miami, Milwaukee, and Washington, DC. He has a side gig as a children’s musician, specializing in songs that don’t make parents want to puncture their own eardrums. His music can be found on Apple Music, Spotify, Amazon Prime, and other streaming sites, and at https://store.cdbaby.com/Artist/DrewBunting. The Rev. 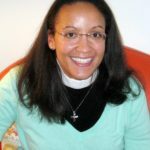 Joy Caires currently serves as the rector of St. Clement’s Episcopal Church in St. Paul, MN. Her vocational journey thus far has included inner-city youth outreach, pediatric chaplaincy and the cradle to grave ministry of the parish priest. Joy and her wife are the parents of two young children who enjoy telling people, “in our house we have two moms, two boys, two dogs, and two cats!”. 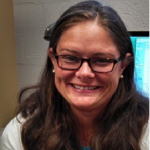 Karen Neiswender Calani is a Health and Nutrition Coordinator with Food for the Hungry (FH). 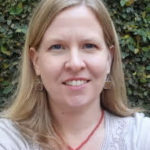 Karen has worked with FH extensively in Latin America over the past seventeen years, focusing on improving maternal and child health in rural communities. Together with her husband, Rodolfo, and their son and daughter, Karen lives in Guatemala. Karen enjoys reading a good book (to her kids), trying out new recipes (on her kids) and watching movies with her husband (without kids). 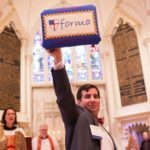 Bill Campbell is the Executive Director for Forma – the Network for Christian Formation. 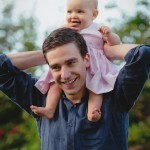 He lives in Alexandria, VA with his wife Amy, their precocious daughter Maddie and their bird crazed GSP, Owen. 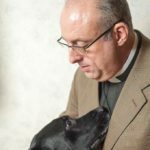 Bill loves fundraising, especially for the Episcopal Church and he nothing gives him more pleasure than a day spent in the field with his dog. You can always find Bill wherever two or three are gathered to share tall tales and love Jesus. 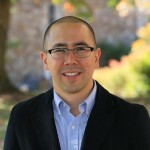 Matthew E. Chen is a parishioner at the Episcopal Church of the Holy Comforter in Vienna, Virginia. He works in public affairs in Washington, D.C.
Christina (Tina) Clark serves as Director of Christian Formation at St John’s Cathedral in Denver, CO and is the author of the resource book “Arts Camp: A Creative, Customizable Alternative to Vacation Bible School and Beyond” and of the novel “Little Gods on Earth.” Tina lives between Denver and the Rocky Mountains with her wife, 2 sons, and 3 dogs. Tina’s superpower is in creating meaningful formational experiences involving vans filled with unwashed teenagers and loud music. A staunch advocate for social justice, Tina yearns to walk every day in the baptismal covenant to seek and serve Christ by striving for justice and peace among all people and respecting the dignity of every human being…even the ones with whom she ardently disagrees. The Rev. 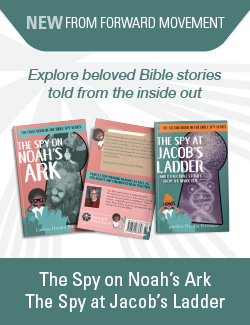 Adam Walker Cleaveland was in full-time youth ministry for 10 years before founding Illustrated Children’s Ministry, a fast-growing online business creating illustrated faith resources for the church and the home. He lives in Chicago with his wife (a pastor), their young son and daughter and 10 year old lab-pit, Sadie. Adam loves to draw (with both a pen and a stylus) and loves binge-watching the many great TV shows that are created today. 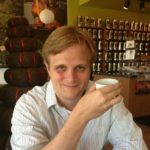 You can find Adam on most social networks as @adamwc and you can learn more at adamwc.com. Fr. 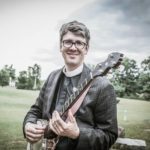 Ben Day is the rector of Christ Episcopal Church in Kennesaw, GA. He is an avid reader, cyclist, and runner. He is also a single father to a wonderful 3-year-old son, Marshall. They share their home with two rescue dogs, Becket and Augustine– both named after Archbishops of Canterbury! 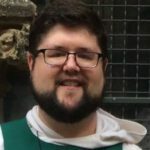 Christopher Decatur is seminarian at Virginia Theological Seminary and a postulant in The Diocese of Ohio for holy orders. He is currently serving St. George’s Episcopal Church in Washington, D.C. 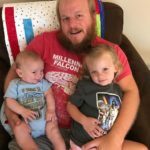 Prior to seminary, Chris served at Trinity Cathedral in Cleveland, OH as the Associate Minister for Children, Youth, Family, Young Adult and Campus Ministries. Chris currently serves on The Taskforce for Liturgical and Prayer book Revision. At Virginia Theological Seminary, Chris is also a Catechist for the Discipleship Initiative “Baptized For Life”. 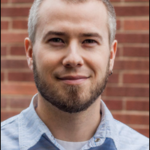 Chris comes from an undergraduate degree in Comparative Religion from Cleveland State University and years of studies and practicing of Early Childhood Education at both CSU and as a student at The Catholic University of America. The Rev. Dorian Del Priore is the Canon for Parish Life at Trinity Cathedral in Columbia, South Carolina. He holds a BA in Religious Studies from the University of South Carolina and an M.Div. from Virginia Theological Seminary. Dorian and his wife have two kids (a teen and pre-teen), and he loves photography, hiking, camping, and ice cream, especially butter pecan. 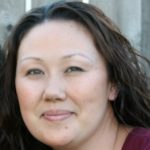 Alissa Ellett has worked in ministry for fifteen years, serving in churches across California. She earned her Masters in Christian Education from Garrett-Evangelical Theological Seminary. Currently based in Fresno, CA, when she’s not writing for Illustrated Children’s Ministry, she’s immortalizing moments and seasons in others’ journeys through her photography business, Waypoint Photography. 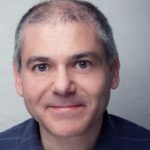 Miguel Escobar is Director of Anglican Studies at Episcopal Divinity School at Union. There he is working with the Dean Kelly Brown Douglas to transform theological education by providing innovative public programming and classroom instruction that reimagines faith in the public square and trains Episcopal faith leaders for progressive activism. Previously, Miguel served as managing program director for leadership, communications and external affairs at the Episcopal Church Foundation. He earned a master of divinity degree from Union Theological Seminary in 2007 and served as communications assistant to then-Presiding Bishop Katharine Jefferts Schori from 2007 to 2010. Miguel is a member of the board of directors of Forward Movement and serves on the advisory council of Duke Divinity School’s Leadership programs and Episcopal Relief and Development’s church programs committee. He grew up in the Texas hill and now lives in Brooklyn where he’s a member of All Saints Episcopal Church in Park Slope. 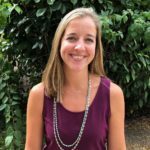 Kim Faasse is the Director of Children, Youth and Family Ministries at Holy Comforter Episcopal Church in Spring, Texas. She is wife to Scott and mother to Jacob (11) and Phoebe (6). She enjoys spending time with her family, gardening, canning and making her kids crazy. 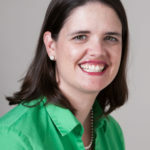 Elizabeth Floyd is the Coordinator of Christian Formation at Church of the Resurrection in Greenwood, South Carolina. She leads its children’s ministry programs alongside a talented group of devoted volunteers. When she’s not at church, you can find Elizabeth at the Y or jogging with her best pal, Marley. She loves the mountains, the ocean, and all the hiking trails in between. Elizabeth lives in the lovely little city of Greenwood with her husband, Ryan, three children, and Marley the dog. The Rev. Ann Benton Fraser is a priest serving a wonderful congregation in rural Mississippi. A Louisiana native, she lives with her husband Andrew and their adventuresome daughters, 5 and 3. She spends time reading, being outside, learning from her children, and not feeding the pets (thanks, Andrew). Either indecisive or decidedly adaptable, she likes Game of Thrones and Call the Midwife, using scissors and glue, making messes and cleaning up messes, quiet and chaos, things Protestant and Catholic. 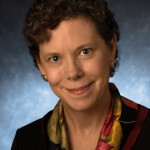 Mary Ann Frishman is president of Frishco, Ltd, an editorial development house focused on textbook development and ancillary educational materials, including marketing support, for all grade levels. 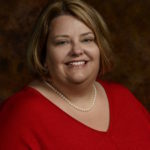 Mary Ann holds multiple degrees in English and curriculum development from the University of Texas at Austin. She is deeply connected to her community and is currently helping to establish Good Shepherd on the Hill Early Childhood Center. She also volunteers at St. Andrew’s Episcopal School and Helping Hand Home Society. She and her husband have two children, ages 17 and 20, and reside in Austin, Texas. The Rev. Patrick Funston is husband to Michael and father to Eirnín and York. 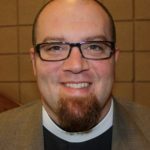 A 2011 graduate of Virginia Theological Seminary, Patrick serves as the rector of St. Paul’s Episcopal Church in Manhattan, Kansas. Prior to St. Paul’s, Patrick was the Chaplain of Bishop Seabury Academy in Lawrence, Kansas. Patrick, an avid gamer and geek, loves to preach and teach in his congregation and on his YouTube channel. The Rev. 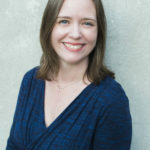 Sarah Kinney Gaventa is the Dean of Students at Austin Presbyterian Theological Seminary. She is mother to Charlie, and wife to the Rev. 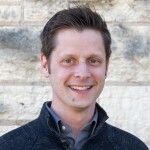 Matthew Gaventa, Head of Staff at University Presbyterian Church, in Austin, TX. Her mother was Pamela Kinney, a brilliant and creative elementary school teacher who had an encyclopedic knowledge of Broadway musicals and Greek mythology. She was also a very, very good mother. Fr. 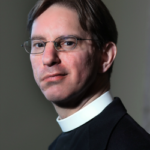 Benjamin Gildas is a professed religious in the Anamchara Fellowship, founding host of the Episcopal podcast Priest Pulse, and rector of Incarnation Holy Sacrament Church in Drexel Hill, PA. Find him on Twitter @priestpulse and @benjaminwallis or at facebook.com/priestpulse. When he isn’t at IHS or on Twitter he can be found roaming Walt Disney World with his family and his best pal Mickey Mouse. 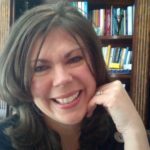 Charlotte Hand Greeson shares her passion for formation as a manager, editor, and writer for Building Faith. In addition, she assesses curriculum for the Center for Ministry of Teaching and speaks on formation on behalf of the CMT. Charlotte takes seriously Paul’s injunction in his letter to the Romans to “Rejoice with those who rejoice, and weep with those who weep,” living this out in social media ministry. A 22-year military spouse, she currently lives in California. The Rev. 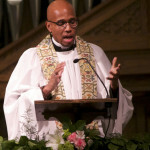 Marcus Halley is an ordained Episcopal priest serving as rector of St. Paul’s Episcopal Church, Minneapolis. He holds a Bachelor of Arts degree from Johnson C. Smith University, a Master of Divinity degree from the Interdenominational Theological Center, and a Master of Sacred Theology from the School of Theology at the University of the South. An avid writer and blogger, Fr. Marcus has contributed to numerous other publications both online and in print. 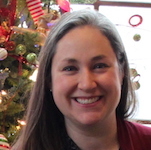 Christine V. Hides is the Director of Ministries with Children and Youth at Northbrook UMC and a deacon candidate in the United Methodist Church. She writes about faith formation at Bless Each One. A former kindergarten teacher, she is passionate about childhood literacy. In her free time, she enjoys traveling and spending time with her husband and two teenage daughters. Catherine Holochwost is an art historian, college professor, and mom to three boys. Raised in the Pentecostal and charismatic Episcopal tradition, she also maintains a meditation practice based on Buddhist principles to maintain a modicum of sanity. 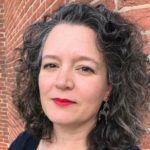 Her passions and scholarly interests include landscape studies, material culture, and creative placemaking, especially in areas that might otherwise be marginalized. The Rev. 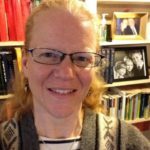 Nancy Hopkins-Greene serves Church of the Redeemer in Cincinnati, OH and as a part-time assistant editor at Forward Movement. With two kids in college, she and her spouse Roger are officially “empty nesters,” but the kids will be home for the summer soon! When she isn’t preaching or praying or writing or editing, she loves gardening, composting, running (slowly), and hiking. The Rev. 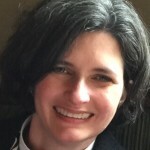 Erin Hougland is the Pathways to Vitality Priest for the Episcopal Diocese of Indianapolis. As the Pathways Priest, Mother Erin works with three congregations over a two year period to help develop their discipleship pathways and programming, stewardship and regular giving campaigns, ministry organization and structure as well as evangelism and outreach initiatives. Mother Erin comes from Kentucky originally, but has lived in Indianapolis since 2008. 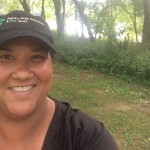 She loves to write, hike, camp, and spend time with her husband and two children. 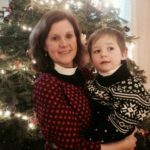 Mother Erin received her BA in Theological Studies from Hanover College in 2008, her M.Div from Earlham School of Religion in 2014 and her Diploma for Anglican Studies from Bexley Seabury Seminary Federation in Chicago in 2017. 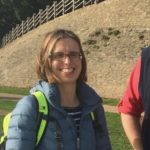 Mother Erin is passionate about fostering a sense of spiritual knowing within individuals and faith communities and believes our capacity to share love and compassion will save, heal and transform us into the beacons of hope and light God has made us to be. 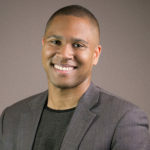 Ben Irwin is the author of The Story of King Jesus and communications director for the Preemptive Love Coalition, and blogger. He and his wife were confirmed in the Episcopal Church in 2011. Ben lives with his family in Grand Rapids, Michigan. Rachel Jones loves Jesus, her husband, their respective families, barbecue, breakfast tacos, Bob Dylan, baseball, the Book of Jeremiah, trips to the beach, finding money in a jacket pocket, and snagging the shadiest parking spot in the lot—in that exact order. Rachel and Mr. Jones live in Cincinnati with three neurotic cats and a new kitten named Carrie Fisher. 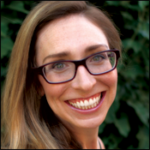 Rachel is the Associate Editor for Forward Movement. When she’s not working on Forward Day by Day, she’s usually looking for her car keys or putting up preserves, but should probably be updating her blog at https://makeshiftfarms.wordpress.com/. The Rev. 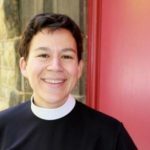 Maria Kane, a priest, historian, and writer, has recently entered her third year serving as rector of St. Paul’s Episcopal Church, 30 miles outside of Washington, D.C. Prior to arriving at St. Paul’s, Mother Maria served as a parish priest in southern Virginia and a chaplain & teacher at a New England boarding school. She’s long been fascinated by history and storytelling and finds immeasurable joy in hearing people’s stories and walking alongside them in faith. She has written for Weavings, Alive Now!, and the Upper Room. For two years, she served as one of Lent Madness’ Celebrity Bloggers. The Rev. 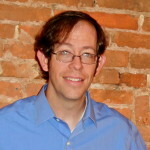 Matthew Kozlowski is the co-editor of the website Building Faith (buildfaith.org), where he helped create Home Practices, a series of faith activities for households. 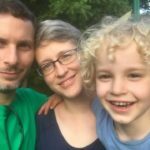 He lives in Alexandria Virginia with his wife Danielle and two young daughters. The Rev. 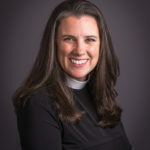 Lauren Kuratko is an Episcopal priest and mother in the Diocese of New York. As a spiritual director, she enjoys looking for God in the humor (and humdrum!) of everyday life and community. As a recent transplant, Lauren enjoys exploring a new city with her family, staying centered by running, and remembering her roots by cheering Auburn football. The Rev. 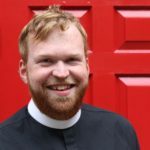 Ryan Kuratko, PhD is the Campus and Young Adult Missioner for Harlem, Uptown, and the Bronx for the Diocese of New York. He likes to ask really basic questions about prayer and spirituality, and he maintains good boundaries with his time mostly so that he can hang out with his kids, cook, and play video games. 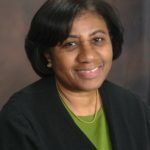 The only daughter of British Guyanese immigrants, Pamela A. Lewis was born in Queens, New York. Now retired, Pamela was a high school French teacher for 30 years. She enjoys serving in her church, reading, writing, and learning classical guitar. 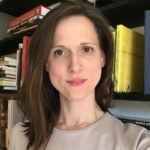 She writes regularly for The Episcopal New Yorker, Episcopal Journal, and is a blogger for The Huffington Post. She resides in Queens. The Rev. Charles LaFond is an Episcopal priest, speaker, author and blogger. Currently he serves as Advancement Director of Heading Home in New Mexico, where he lives on a small farm with his dog Kai. The Rev. Kit Lonergan is currently serving as Priest in Charge at St. James Episcopal Church in Groveland, Massachusetts, and as Chaplain at Esperanza Academy in Lawrence, Massachusetts. She and her husband are parents to a 5 year old rescue chocolate lab, a 3 year old daughter and a one year old son. She would desperately like to tell you about her hobbies, but they would currently be listed as: eating leftover food off plastic plates, searching for rogue socks, and wearing sweaters with something unidentifiable smeared on the shoulder in public. Neither crafty nor good with plants, she loves intergenerational ministry, dark humor, the BBC and pie. 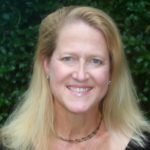 Andrea McKellar is the Ministry Developer at The Episcopal Church in South Carolina and mom to two young children. 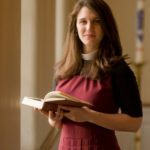 When not solving the problems of the world, she is blogging about church stuff at funeralhomechurch.com. Andrea enjoys reading with her children, golf, and Sunday afternoon naps. Miriam Willard McKenney finds extreme joy parenting her three girls: Nia, 23; Kaia, 18; and Jaiya, 14. She and her husband, David, met at the Union of Black Episcopalians conference in 1981. 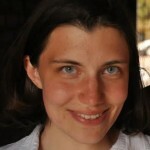 Miriam works as Forward Movement’s Development Director. She was a children’s librarian and school media specialist for 20 years before joining Forward Movement’s staff. She loves to evangelize about her love of outdoor fitness, even in extreme temperatures — as there is no bad weather, just incorrect clothing choices. Cara Meredith is an author and speaker from the San Francisco Bay Area. Her first book, The Color of Life, a memoir about her journey into issues of race and justice, releases in early February (Zondervan). 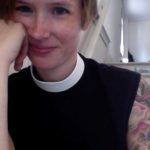 You can connect with her on Patheos, Facebook and Instagram, among other spaces online. The Rev. Betsey Monnot serves as Missioner for Leadership Development and Networking for the Diocese of Northern California, and is the mother of three growing boys. Betsey is originally from Massachusetts and came west for seminary at Church Divinity School of the Pacific in Berkeley She is continually surprised at how long she has lived in California. She enjoys cooking, writing, and reading middle-grades fiction. 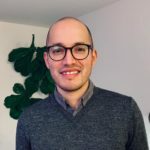 Hugo Olaiz is associate editor for Latino/Hispanic resources at Forward Movement. 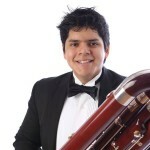 Hugo grew up in La Plata, Argentina, moving to the U.S. to do graduate studies in Spanish, linguistics, and translation. Hugo now lives in Oxford, Ohio, with his husband John-Charles Duffy and an aging beagle mix named Patches. In his spare time, he loves to entertain friends, edit Wikipedia entries, and watch opera clips on YouTube. Dr. Derek Olsen is a layman within the Episcopal Church with a Ph.D. in New Testament. He is the liturgical editor of the St. Augustine’s Prayer Book, and the author of Inwardly Digest: The Prayer Book as Guide to a Spiritual Life. Derek currently serves on the Episcopal Church’s Standing Commission for Liturgy & Music. An IT professional by day, Derek is also the mastermind behind St Bede Productions which is responsible for the St Bede’s Breviary, Forward Movement’s Daily Prayer site, and the St Bede Blog (formerly haligweorc). He lives in Baltimore with his wife, an Episcopal priest, and their two late-elementary/middle school aged daughters. He spends most of his spare time driving his girls to and from ballet. Jamie Osborne is a priest serving at St John’s Episcopal Church in Montgomery, Alabama. In addition to nurturing those already in the Episcopal Church, Jamie has a desire to guide young adults and those who are unchurched/dechurched into a life of faith in the Episcopal tradition. He also spends quite a bit of time wondering what God might be calling the church to be and do in the midst of the cultural, technological, and religious shifts that are happening in the landscape of the United States and the world. The Rev. 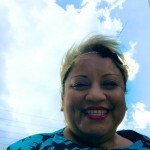 Nurya Love Parish is an Episcopal priest, blogger, speaker, and ministry developer. 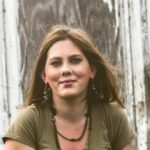 She is the co-founder of Plainsong Farm and the curator of the guide to the Christian food movement. When she is not in front of a computer or at a meeting, she can often be found in the kitchen. 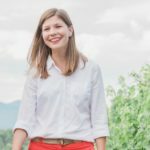 Kate Rademacher grew up outside of Boston and now lives in Chapel Hill, North Carolina with her family. In her debut memoir, Following the Red Bird, Kate describes how she came to embrace a relationship with God after maintaining a pick-and-choose approach to spirituality for many years. Raised in a staunchly secular, liberal community, Christianity was never a path she had seriously considered. Married to a devout Buddhist, Kate was sitting on a cushion at her husband’s meditation center one day when Jesus appeared unexpectedly in her consciousness and called her to follow him. She was baptized a year later to the day. The Rev. 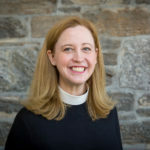 Dr. Hillary D. Raining is the rector of St. Christopher’s Episcopal Church in Gladwyne, Pennsylvania. In addition to her parish ministry, she has served on several diocesan and church-wide ministries as well as in ecumenical and interfaith efforts. She is a yoga instructor and musician and has many varied hobbies, including skiing, hiking, gardening, and beekeeping. She is married to Ken Raining, a librarian, and they have a daughter, Delia. Maria Nolletti Ross is a member of Church of the Servant Episcopal Church in Wilmington, North Carolina, where she serves on the Youth Ministry, Communion Bread Baking and Blessed Bakers for Midnight Basketball Teams. She’s a mostly retired stay-at-home mom with almost too many cats. 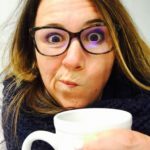 She writes for Lent Madness as their Resident Foodie, and she’s a Fabulous Contributor at 50 Days of Fabulous. Maria invites you to journey with her as she studies the saints and their recipes for faithful living at Saints and Recipes. Emily Rutledge is the Children, Youth, & Family Minister at Church of Our Saviour in Charlottesville, Virginia. She is passionate about creating communities of belonging rooted in God’s infinite and inclusive love, consent, and clearance sales. She has absolutely none of life figured out and finds that her Type A personality doesn’t mix well with the surprising nature of existence. She is daily working to live authentically while raising two small humans, caring for her mother with dementia, holding space for her congregation, and attempting to be (mostly) happily married. You can read about how that is almost working out on her blog It’s a Hot Holy Mess. The Rev. Tim Schenck is rector of St. John the Evangelist in Hingham, Massachusetts. The author of four books including, most recently, Father Tim’s Church Survival Guide, he blogs at Clergy Confidential, writes the syndicated monthly column In Good Faith, and is the creator of the wildly popular online Lenten devotion Lent Madness. Follow him on Twitter @FatherTim. Laura Shaver loves her life full of all things boy. She is married to Trevor and together they have three beautiful young sons. Her faith sustains her, the coastal air lifts her spirits, and she finds courage in talking faithful parenting with any mom willing to listen and share. She has worked in Episcopal church communications for the past 12 years. Daily life involves lots of balance among two full-time working parents, active children, and seeking Jesus’ sweet guidance through it all. The Rev. 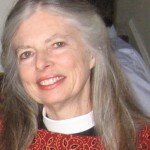 Melody Wilson Shobe is an Episcopal priest who has served churches in Rhode Island and Texas. 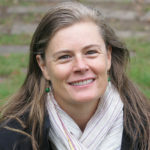 A graduate of Tufts University and Virginia Theological Seminary, Melody had authored and co-authored a number of books and curricula for Forward Movement, including Faithful Questions, Meet the Saints: A Family Storybook, The Path: A Family Storybook, and Walk in Love: Episcopal Beliefs & Practices (due out Summer 2017). 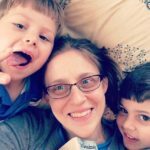 Melody, her husband, and their two daughters live in Dallas, Texas, where she spends her spare time reading stories, building forts, conquering playgrounds, baking cookies, and exploring nature. 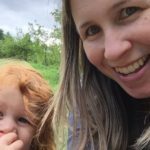 A lifelong Episcopalian, Christian Simmers is a wife, mother, and nurse practitioner in the mountain foothills of Central Virginia. After a decade at the hospital bedside, she noticed striking similarities between teaching nursing students how to care for the sick and teaching her daughters to care for the world around them. 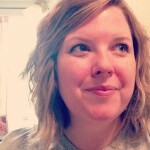 She blogs about their adventures and her lessons in humility at www.fourgirlseightnames.com. Roger Speer is a lifelong servant of the Episcopal Church. He has served with mission, congregational, diocesan, national, and international formation initiatives during an exciting tenure as a youth minister. At heart, Roger is an artist and craftsman. 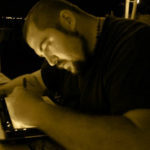 He holds degrees in art education and graphic design, as well as various training certifications that he uses to produce new ways to express the gospel with as much innovation as possible. He is husband to Fran and father to Fynn. The Rev. Nadia Stefko is a recovering vegetable farmer and Episcopal priest. She serves as Associate Rector at Christ Church Winnetka. 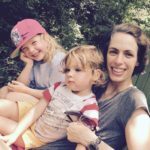 She lives with her husband and their two young daughters in Skokie, Illinois–in the Lake Michigan watershed. 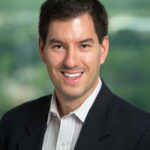 Ryan Casey Waller studied philosophy and religion at the University of Southern California before earning a Juris Doctorate and Masters of Theological Studies from SMU. After a brief career in the law Ryan felt called by God to teach and preach. He spent three years at All Saints’ Episcopal School before being led to the Church of the Incarnation. He is married to Caroline Waller and has two sons, Ford Casey and Charles Henry. 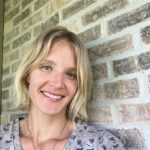 Anne Marie Warner is a mother, writer, photographer and parishioner at St. Luke’s Episcopal Church in Kalamazoo, Michigan. Her photos are currently exhibited at Flyway: Journal of Writing & Environment and Art Prize 10 in Grand Rapids, Michigan. Emily Watkins has a Masters in Applied Theology from Regent College in Vancouver. She loves spending long summer days with her husband and four young boys. They live in Milwaukee, WI where Emily chronicles their journey through the church year on her blog. The Rev. Melissa Wilcox lives in a charming walking-town outside of Philadelphia. She lives with her husband, who serves as a rector at Christ Episcopal Church. They make their home in a Victorian “condo” literally attached to the church, with their three lively children–Elias, Adelaide, and Josiah. She serves the church as an assistant rector at Church of the Redeemer, Bryn Mawr, PA. Melissa blogs about the intersection of faith and family and sundry other things at www.kradelkids.blogspot.com. The Rev. Mary Lee Wile is a deacon in the Diocese of Maine. She is the author of the theological novel Ancient Rage, three program books: I will with God’s help, Christ’s Own Forever, This Bread & This Cup, and two children’s books: Star of Wonder and Season of Angels, both through Forward Movement. 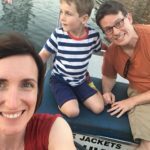 She has written for Forward Day by Day and Daily Devo, and she maintains an intermittent blog at Bread & Stories: Tending Family Faith in Cyberspace. Having served for eight years as a pediatric hospice chaplain, Mary Lee now engages in prison ministry, offers spiritual direction, serves as Chaplain to the Maine Chapter of the Society of Companions of the Holy Cross, and tends grandchildren two days a week. Carrie Willard lives in Houston, Texas, with her husband, two sons, and two dogs. She received a bachelors degree from the University of Wisconsin, and a law degree from the College of William and Mary. 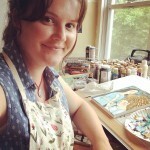 Her work has appeared on Mockingbird and Episcopal Cafe. Carrie and her family attend Palmer Memorial Episcopal Church in Houston. Editor: The Rev. 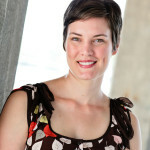 Allison Sandlin Liles is wife, mother, peacemaker and priest learning navigate life in the suburban wilds of Dallas. 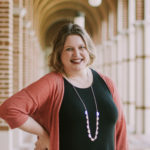 After working as Episcopal Peace Fellowship’s Executive Director for six years, Allison has re-entered parish ministry in the Diocese of Fort Worth. She currently serves as the Priest in Charge of St Stephen’s Episcopal Church in Hurst, Texas.